We offer for-credit educational opportunities for college students in a number of areas. Selected interns will engage in different facets of non-profit operations and benefit from personal training and real-life experience. They will take the skills they learned in the classroom and apply them throughout Whitaker Center. All Whitaker Center internships are part-time, college credit-only, unpaid internships. To apply for an internship, email your resume and cover letter to the Volunteer & Membership Manager. Supports the Accounting Department by assisting with the financial requirements and operations of a non-profit arts and science organization. Assists the department in its general ledger activities and accounts payable/receivable. Supports the Marketing Department by effectively and efficiently promoting Whitaker Center to the public and media in addition to designing collateral, ads, and signage. 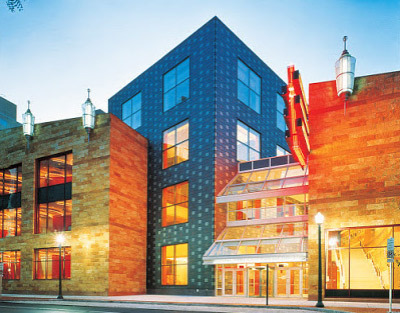 Emphasis will be based on designing professional materials that will clearly explain, enhance and promote the image of Whitaker Center along with other projects such as general proof reading, assisting with drafting press releases and other copywriting projects. The position will allow interns the opportunity to assist with projects from start to finish, as well as join long-term projects. Supports the Development Department by providing donor support requiring excellent computer and customer service skills. Interns will also provide support for administrative office and special events. Data entry, tracking donors and fundraising prospects as needed are also involved. Supports the Education Department by helping to develop educational programs typically not found in a traditional school setting. Opportunities to get hands-on with science center programs and assisting Education staff with teaching. Supports the Exhibits Manager by assisting in execution and maintenance of temporary and permanent exhibits related to Whitaker Center for Science and the Arts visual arts program and Harsco Science Center. Supports the Human Resources Department by conducting employee search activity, developing position descriptions, assisting with and performing new hire orientations, preparing benefit packages, helping manage the office operations of Whitaker Center for Science and the Arts and assisting with daily Human Resources administrative duties. Supports the Education Department by assisting in the development and implementation of educational materials to be included in Big Science Theatre and WOW (Whitaker On Wheels) Programs. Supports the Production Department by assisting in changing over the stage of Sunoco Performance Theater, helping implement both lighting and sound designs for events and assisting in routine theater maintenance and administrative support. Supports the Volunteer and Membership Manager with day to day activities and recording of the Volunteer program. Assists in recognition program development, as well as developing and implementing new recruitment techniques to fill open volunteer positions.